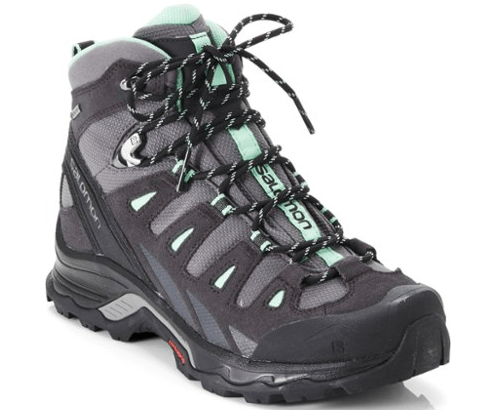 Having good hiking boots is key to having a great hiking trip! And just like every body is different, we all have different FEET too. 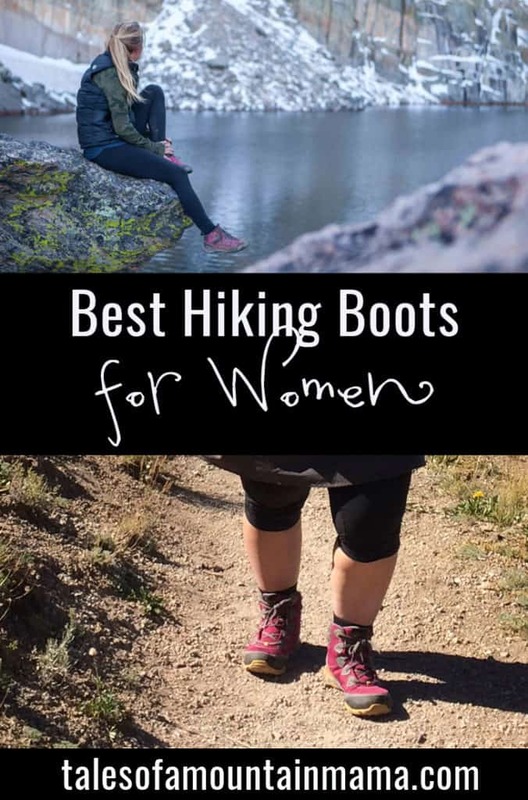 I enlisted some help from my favorite women hikers to round up the best hiking boots for women. I’ll share my favorites first and then continue with what others have shared with me. I have been wearing these for the past few months (in 2018) and am so incredibly impressed. 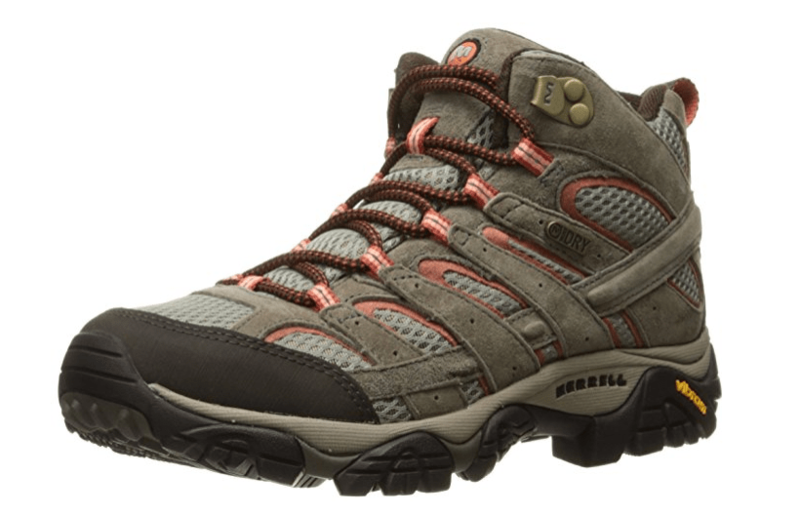 They’re a beefier boot for great support while remaining still very breathable. 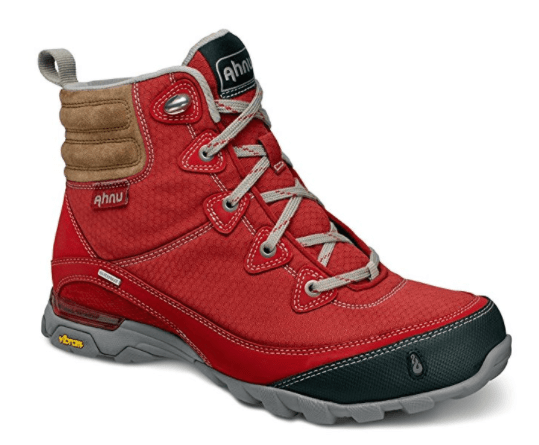 They have great traction, are waterproof and are THE boots I reach for every day right now. Watch this new brand – it’s up and coming and SO great! Buy them here on Amazon. 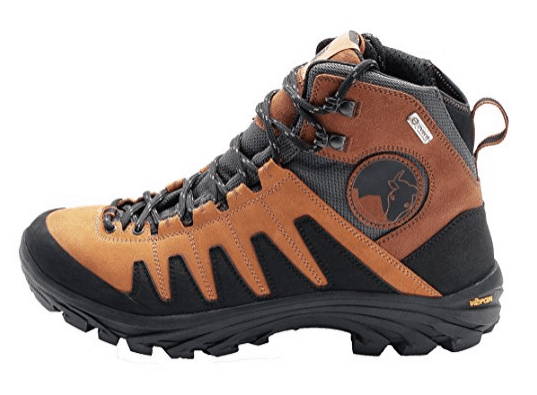 The Sugarpine is a much lighter boot – perfect for day hikes and faster hiker. They also come in a low version. Still great support and still do well with my wider feet! Check out the Sugarpine II version on sale now too! 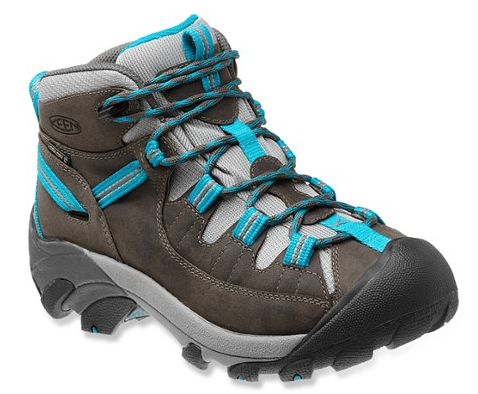 This is one of those boots that has KEEN has kept around forever….because they’re really great! 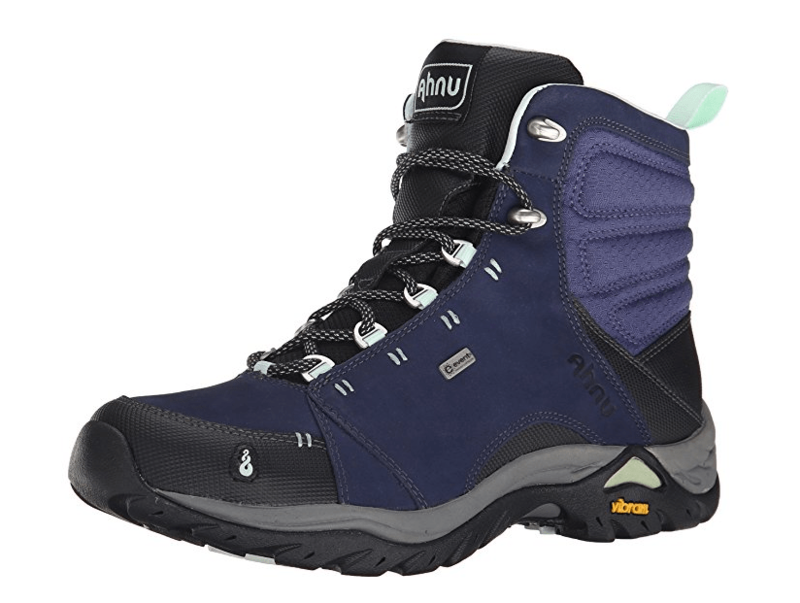 KEENS tend to usually work very well for my wide feet and are a bit more substantial than the lighter Ahnu boots above. Great traction and they hold up to a few years of use and abuse. 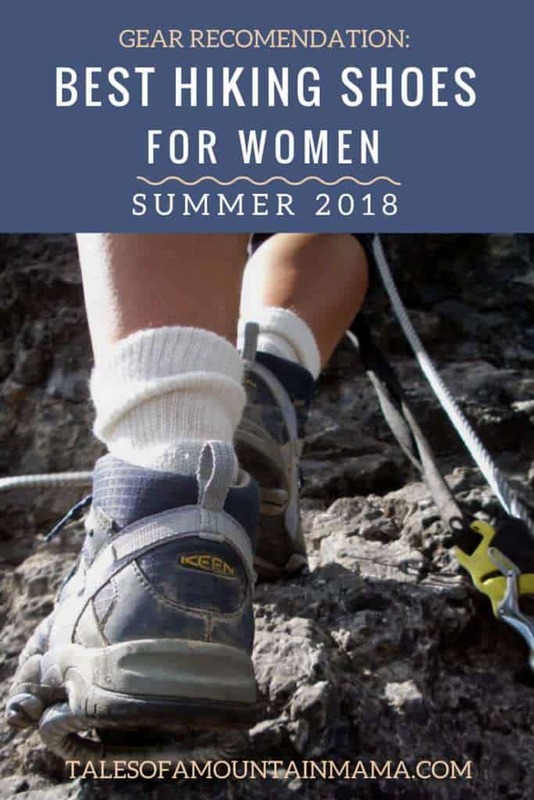 Buy them here at REI or or HERE on Amazon. Flat feet? Sarah says these are for you!! 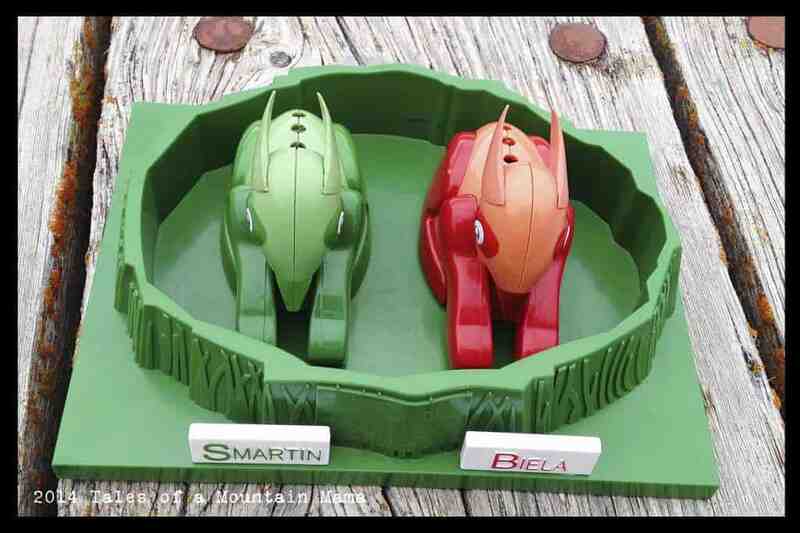 Find them on Amazon here! Narrow feet? Stephanie of Raising Kids Wild has gone through 3 pairs of these and swears by them. 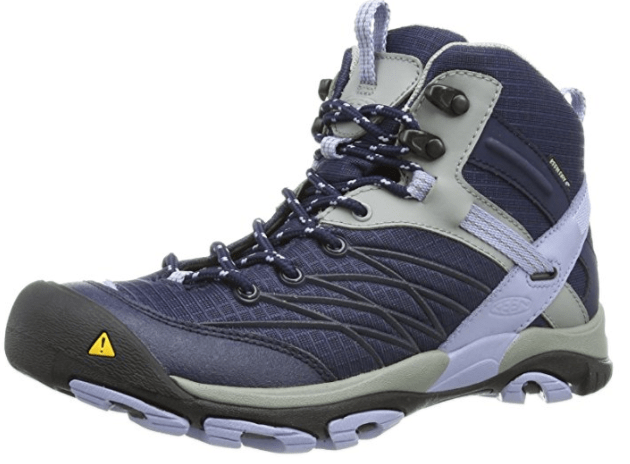 A great boot for wet conditions! 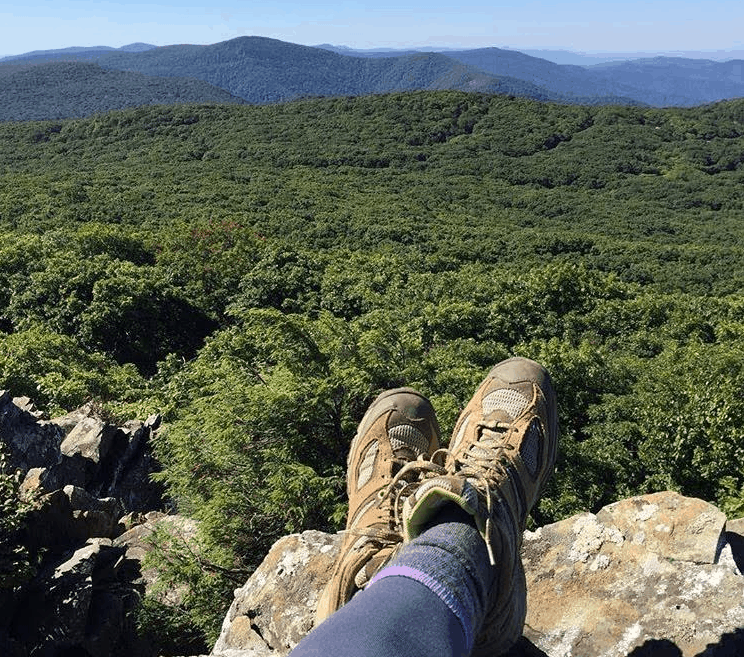 Sarah of North Country Littles says, “They are over the ankle and waterproof which makes them perfect for hiking in wet or rugged areas. 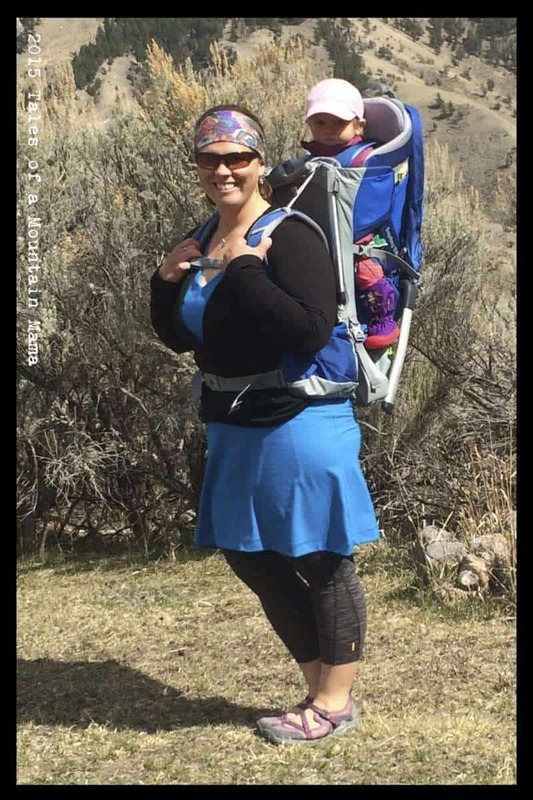 Last summer I took my kids backpacking and carried all our gear in a pack on my back while carrying my baby on my front in a carrier, these boots made me feel stable and confident in my footing. BONUS: they are made to accommodate orthotics or inserts! 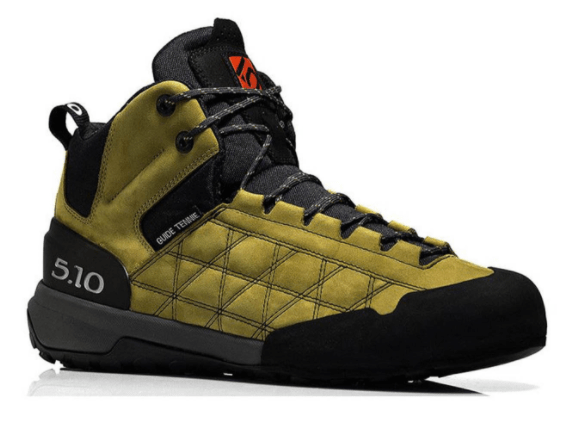 Find them at REI here! 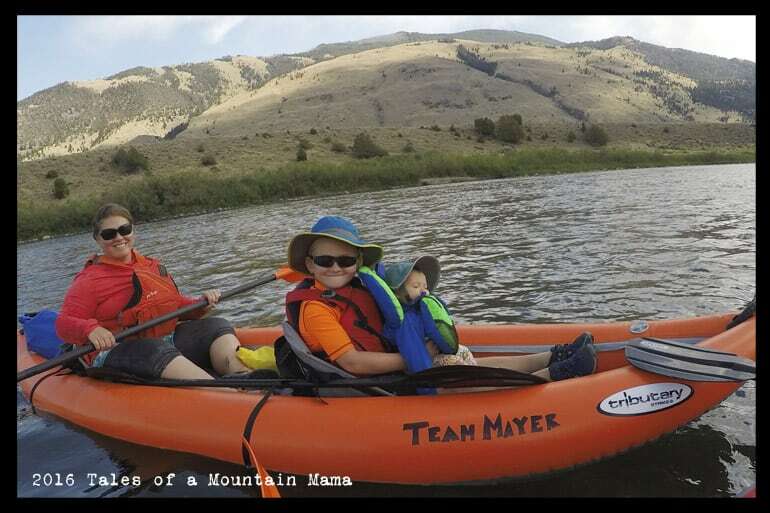 Thank you to Whitney James, Elisa Rispoli and Tanya Koob for contributing photos! My best choice is Hoka One One. They work with my Morton’s neuroma, plantar fasciitis, wide feet and high arches. I have them in boots and shoes. Thanks, Helen! I didn’t realize they made them in boots too! Checking out! I need a woman’s size 12. Any ideals? Good question!!! Seeing if anyone will chime in…. Thanks a lot for posting the suggestions. I am in need for a woman’s size 11 for my wife.